The Google eBook store has launched in Canada. And that’s good news for Canadian readers. Selection: From its launch, Google Books offers a selection in excess of 3 million titles. It appears that this includes all the best sellers that you’d expect as well as more niche oriented books. For example, Jeff Jarvis‘ new book, Public Parts, is available on Google Books in Canada. It’s not available on my current favourite bookstore Kobo. More selection is good. Open platforms: Matched with the selection of titles is the ability to view the books I purchase on the platform of my choice. This is important to me. Ease of use: It’s easy to use. Really easy. I found the Google Book store in the “more” tab on my Google homepage. A quick search turned up the book I wanted to purchase – Jeff Jarvis’ Public Parts – and a few keystrokes allowed me to pay for it using Google Checkout. The very next screen presented an option to Read Now. And there it was, ready to read.I don’t purchase books on Amazon because of Amazon’s strategy to lock me into their closed system. I can only view books purchased on Amazon on a Kindle eReader or Kindle app. One way or the other, I’m locked into Amazon. Google shares Kobo’s commitment to making content available in an open format that can be viewed on any device of the reader’s choice. As I write this I’m at the airport. So, I downloaded the Google Books app on my tablet and my purchase of Jeff Jarvis book appeared in my library. A quick download (I’m on WiFi) and the book opened to the precise page I’d been reading on my PC. Quick. Seamless across platforms. Nice! Notations: When I read books, I like to highlight noteworthy passages and also write my own thoughts for later reference. Google Books doesn’t yet have the ability to highlight or annotate. They should add this if they are to be useful to serious readers. Social tools: The other thing that’s missing are social tools. One of the things I really like about Kobo is the built-in tools that allow me to share highlighted passages from the books I’m reading along with my comments on Twitter or Facebook. I find this is a great way to offer interesting thoughts to the people who follow me and a great conversations starter. Given the effort Google is putting into Google+, I hope that the ability to post passages and comments from books to Google+ won’t be long in coming. One last thought. I’ve already stated that I want choice – choice in titles, choice in vendors, choice in platforms, choice in the hardware I use. So, the obvious concern is, now that Google, the 800 lb. gorilla, is entering eBook sales, won’t they crowd out other startup vendors? I don’t believe that will happen in the near future. eBook sales are exploding. And as we move our reading from physical books to eBooks, I think there will be room for many successful vendors – as long as they continue to innovate and evolve. So I think there will be a bright future for Kobo along with Amazon and Google. More choice in an exploding market. That’s got to be good for everyone. I logged onto iTunes this weekend to discover that my favourite eBook reader app just got better. 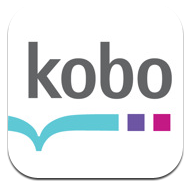 Kobo introduced version 4.5 of its iPad app. This version includes something I’ve been eager to see: proper handling of footnotes. With this feature, I can simply click on the number of an end-note to be taken directly to it. Once I read the note, I can click on its number and I’m returned to the main text. Simple. A great timesaver. Download books in ePub format that I can read on virtually any device – a Kobo eReader, my iPad, my Sony reader, an Android device. 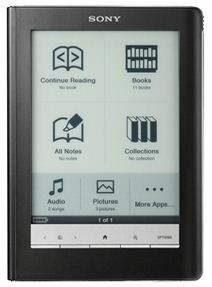 Kobo’s slogan is “eReading: anytime. anyplace.” They make good on that promise. Having used iTunes for my music and now realizing that Apple’s strategy is to keep me locked into their products, I’m reluctant to go down that path with eBooks. So that pretty much rules out both iBooks and Amazon for me. I like Kobo’s commitment to openness. It’s good for competition. It’s good for the publishing industry. And it’s good for me, the reader. I have had one problem with the Kobo eReading app on my iPad. On three occasions over the past year, the application has frozen. The only way that I could get it to work again was to reset the iPad. Each time, I lost all of my locally stored data. That means my highlights and annotations. For someone like me who writes a lot of notes to refer back to later, that’s a big problem. I hope that Kobo is looking at making it possible for readers to back up our notes on their server. This could have the added benefit of enabling me to download my notes to any device on which I’m reading – syncing my notes between devices. I think this should be feasible for Kobo. Already, we are able to share our notes with friends via their servers. It should be a relatively easy thing to enable us to save those notes to be download the next time we resync a second or new device. If they’d do that, they’d make their already great app almost perfect.